http://diglib.library.vanderbilt.edu/act-imagelink.pl?RC=54211 [retrieved April 18, 2012].
' Go to Year A - The Day of Pentecost for lots of general ideas about celebrating this holy day with children and adults together. 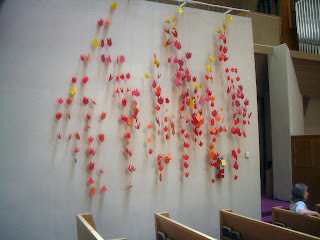 It includes a link to 27 ways to celebrate Pentecost. In case that is not enough, here are a few more…. Meet with a congregation from a different ethnic background. Share languages, choirs, and even a picnic with all kinds of foods – and the same Lord! Give worshipers red candles to light from the Easter candle. Notice that the light these candles make during daylight is not as impressive as the light of candles lit on Christmas Eve. But, it is a fact that God shines through us every day. Sometimes we don’t feel it makes a big difference, but it does. Instead of draping worshipers with red crepe paper stoles, mark each one with a flame sticker. An older children’s class could work with greeters to put one on each worshiper as they arrive. Many denominational logos feature flames. If yours is one of those, display your logo, point to those flames and connect them to the flames of Pentecost.
' In the US this year Pentecost falls on Memorial Day Weekend. Since everyone is in a rather laid back mood, there is extra freedom to try creative things that go beyond “the way we usually do things.” Take advantage of that.
' This story of course appears on Pentecost every year. Go to Year A - The Day of Pentecost for a suggestion about using a world map or globe to add a reality factor to the long complicated list of people who were there.
' Pentecost is the birthday of the church. Every birthday includes some wonderful birthday surprises. The church’s birthday surprise on the first Pentecost was that though Jesus had died, been raised, and then gone to heaven, his disciples were not alone. The Holy Spirit, the very power of God, was with them giving them the power to be the body of Christ in the world! What was true for them on the day the church was born is also true for us today on the church’s 2,012th birthday.
' Wind and fire are metaphors. Point out that Acts does not say there WAS wind and fire but that something strange and mysterious and powerful happened. The only way people could describe what happened was to say it was LIKE wind and fire. Note that the important thing was not the wind or the flames, but that people knew for sure that God was with them in a very powerful way. Knowing that gave disciples (who were hiding out in fear) the courage to run into the streets and tell everyone they met about Jesus. Knowing that gives us the courage to follow Jesus today.
' 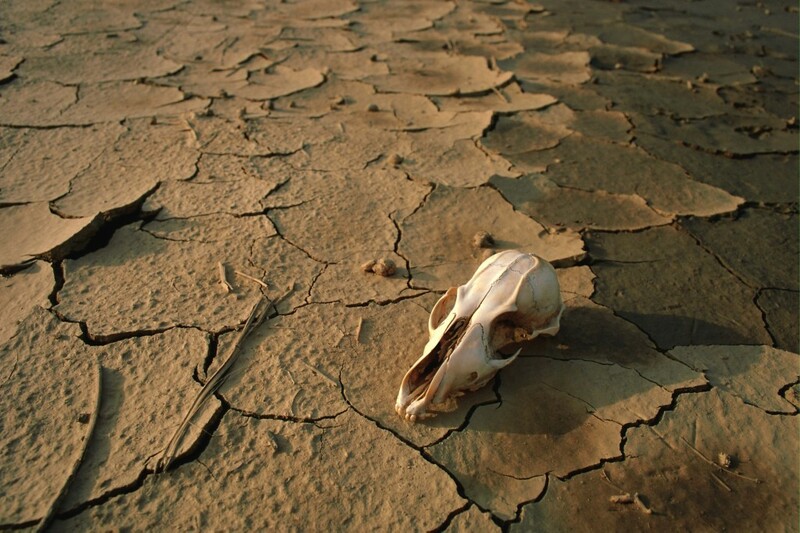 At the end of the school year many children, teachers, and parents feel like dry bones. They are worn out. The temptation is to look toward summer to take a break from or just quit all the effort of the school year. Especially, if the year has been hard and if summer doesn’t promise an inviting break, it is easy to feel hopeless – like dry bones is all that is left of you. Ezekiel’s vision insists and the Pentecost story proves that when we feel most “dried out” and hopeless, God still has big plans for us. The Holy Spirit still blows through all our messes. And, we rise up to do something new. Before children can understand this talk of dry bones, they need help with the metaphor. A series of questions may do the job: Have you ever felt so happy that you felt like you could float above the ground? Have you ever felt so excited you could almost explode? Have you ever felt so small and so stupid that you felt like a rock and expected the next person who came by to kick you down the road? Listen to what Ezekiel say to people who were so hopeless and lost that they felt like dry bones that were bleaching out in the hot desert sun.
' Ezekiel’s Valley of Dry Bones was an artist’s vision. It deserves and is best claimed with an artistic presentation. Try the following. Ezekiel and The Lord stand on opposite sides of the front of the sanctuary. Between them, maybe on the steps as well as around the front, the bones sit/lay/kneel face down/ etc. on the floor. Each “bone” will need a rattle (castanets, rattles, cans filled with dried beans, etc.). The Lord: Mortal man, can these bones come back to life? Ezekiel: Sovereign Lord, only you can answer that! The Lord: Prophesy to the bones. Tell these dry bones to listen to the word of the Lord. Tell them that I, the Sovereign Lord, am saying to them: I am going to put breath into you and bring you back to life. I will give you sinews and muscles, and cover you with skin. I will put breath into you and bring you back to life. Then you will know that I am the Lord. Ezekiel: So I prophesied as I had been told. While I was speaking, I heard a rattling noise, and the bones began to join together. (The bones shake their rattles and move closer together, but stay on the floor.) While I watched, the bones were covered with sinews and muscles, and then with skin. But there was no breath in the bodies. The Lord: Mortal man, prophesy to the wind. Tell the wind that the Sovereign Lord commands it to come from every direction, to breathe into these dead bodies, and to bring them back to life. Ezekiel: So I prophesied as I had been told. Breath entered the bodies, and they came to life and stood up. (Make sounds of rushing wind with a recording, wisks on snare drums, people blowing into microphones, rubbing sandpaper-covered blacks together, or something else. As the wind blows the “bones” stand up, even waving their hands over their heads.) There were enough of them to form an army. The Lord: Mortal man, the people of Israel are like these bones. They say that they are dried up, without any hope and with no future. So prophesy to my people Israel and tell them that I, the Sovereign Lord, am going to open their graves. I am going to take them out and bring them back to the land of Israel. When I open the graves where my people are buried and bring them out, they will know that I am the Lord. I will put my breath in them, bring them back to life, and let them live in their own land. Then they will know that I am the Lord. I have promised that I would do this—and I will. I, the Lord, have spoken.
' With so much else attracting the attention of children, the psalm may slide by. 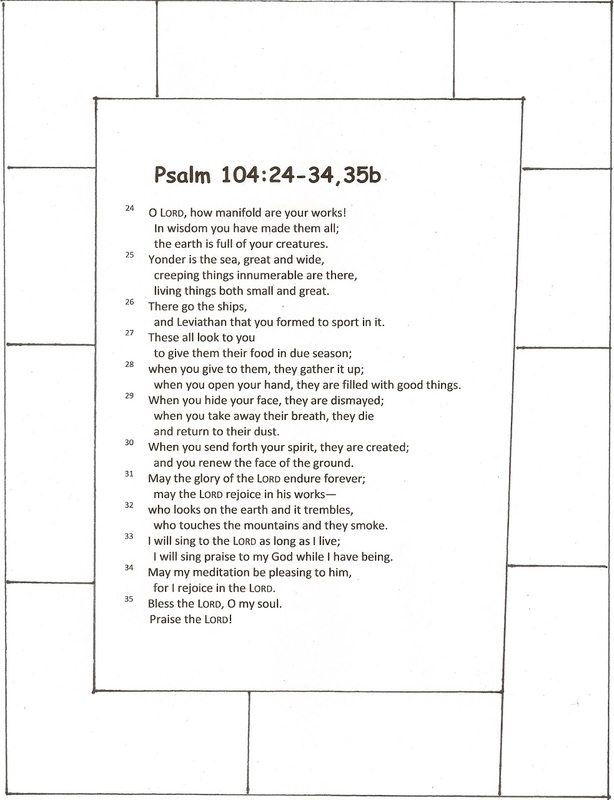 To provide children with a worship worksheet, print the text in the middle of a page and frame it with empty blocks. 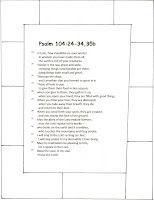 Invite children to illustrate a word and phrase they find in the psalm in each block.
' On a day with such a wonderful story to tell and a great prophetic vision to explore, I’d leave Paul’s argument for the grownups. He is exploring abstract ideas that are beyond the experience of most children. When trying to rephrase his ideas about hope for a new creation or the spirit praying for us for the children, I keep ending up saying things that are not true to Paul’s message. So, I've given up the effort. If you have ideas about how to do this, please post a comment here or on the Facebook page.
' If you have already read and explored the gift of the Holy Spirit in Acts, point out that in this passage “the Advocate” and “the Spirit of truth” (or whatever terms are used in the translation you read) are other names for the Holy Spirit. Jesus is talking to his friends about what is important about the Holy Spirit coming.
' In many ways this discussion sets the stage for celebrating the Trinity next Sunday. Jesus says that while he was alive on the earth, God was with people in him. But, now that he has died and risen, God will be with them as the Holy Spirit. They will feel God’s love burning in them and God’s power will enable them to do amazing things. Introduce two symbols for "God with us" today, then use them again adding a third next week. Today introduce a simple cross to remind us that God is with us in Jesus and a lighted candle to remind us that God’s Holy Spirit burns within us. Display both symbols prominently. We came across the book Perfect Square by Michael Hall, and it seemed like a good riff on Ezekiel: a square piece of paper is "damaged" in various ways, and each one turns into a new piece of art (a fountain, a landscape, etc). A little conceptual for younger kids, but a cool non-narrative story. I've never seen this one, but my local library has several copies. I'll definitely be checking one out.